Tanks, Casks and Bottles: Hyper-clean, Please! The tools of the wine making trade are vital to a good end-product. 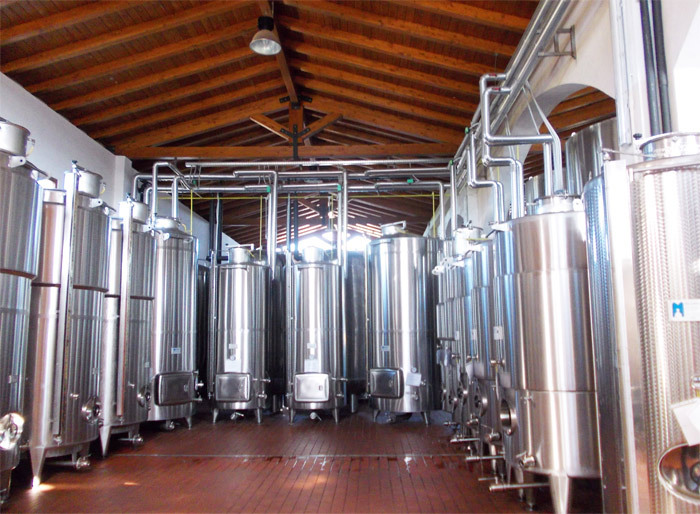 Stainless steel and glass are chosen because of their hygienic properties. But they need to be properly prepared for handling the upcoming nectar. It gets even more critical when discussing organic containers. Wood can transfer many great properties to a wine. But it can also harbour nasty micro-organisms. A proper preparation of casks with ozone can be done without any added ingredients and thus let the wine mature with the wood, without annoyances. Obviously, handling surfaces can be regularly cleaned with ozono-treated water for proper, healthy disinfection.